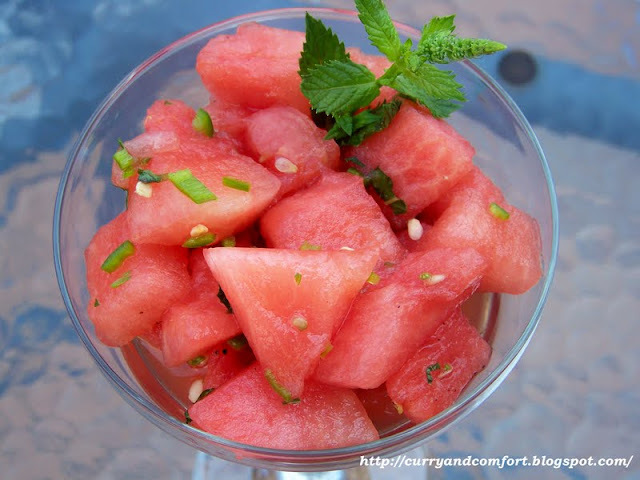 I am digging into my archives from July 2011 for this watermelon salad. 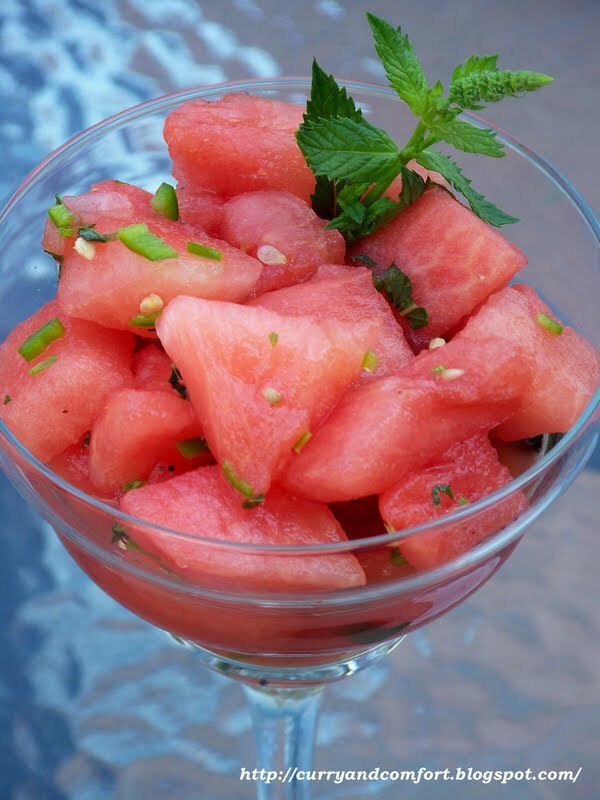 It's watermelon season so I thought it should be brought out and given some attention today. This is such a refreshing a light salad. It's also great for your waistline! 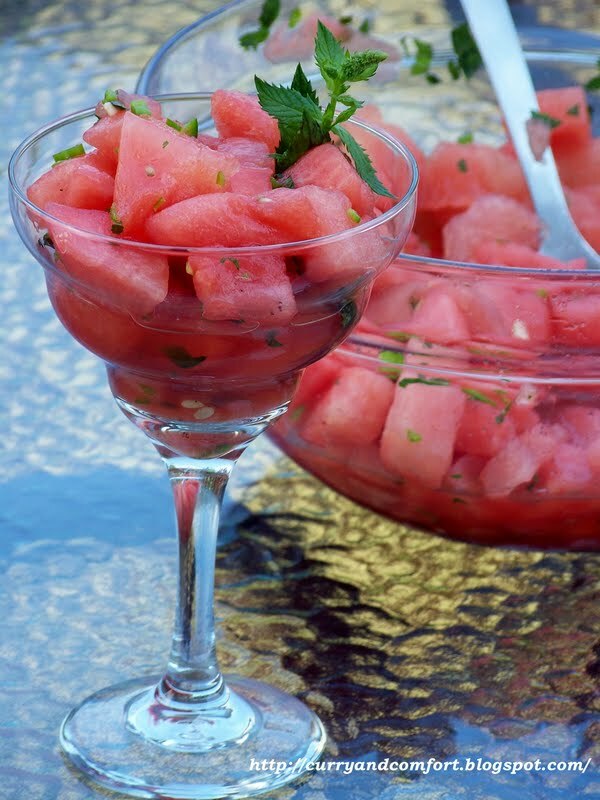 The sweet watermelon is enhanced with the flavors of lime, honey and mint. Then there is the hint of spicy chili which gives a little kick and makes this salad something you will remember. Put all ingredients in a bowl and mix gently. Allow to chill in fridge before serving. Enjoy. This is a great negative calorie dish! 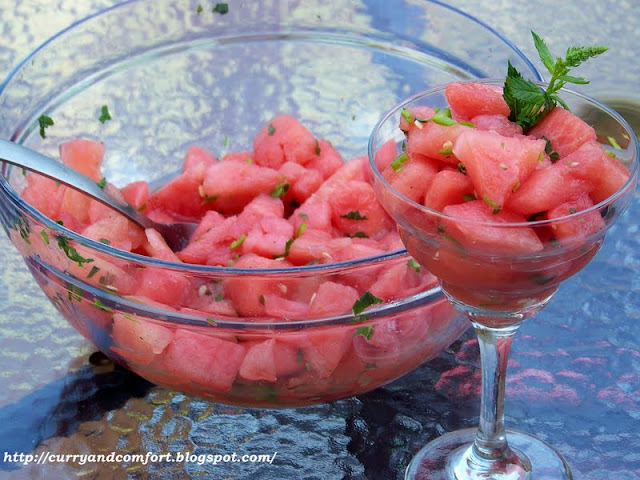 Perfect salad for hot summer days like today,easy and refreshing,YUM !! Speacy spicy mama! 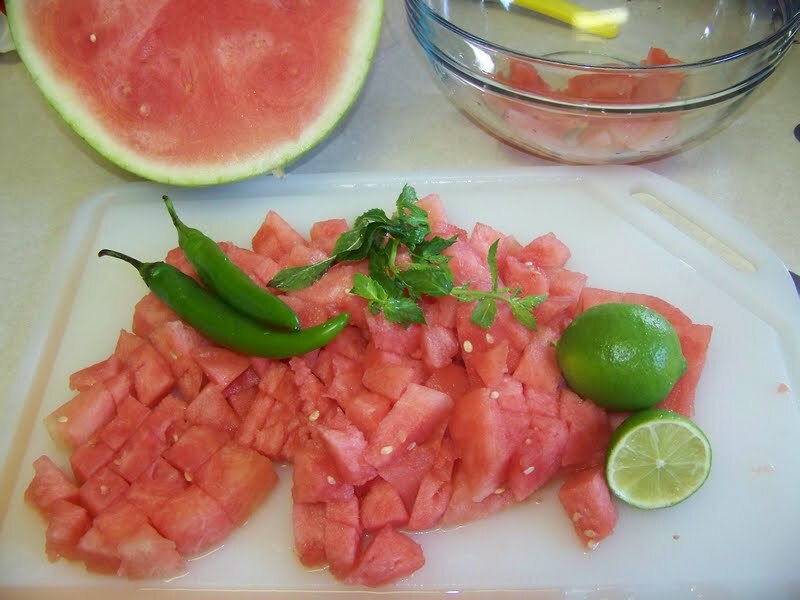 Look at those chilis in this watermelon salad! Love it! Gotta have my watermelon as much as possible during the summer and this salad will definitely be on the serving list. Thanks for bringing it up from the depth of the archives! Olivia Newton John said it best...."I love you, I honestly love you." Okay so I was lazy and hit send with my wrist so you're probably getting two of these and one is half done. But leave it. It's creepy and cryptic and everyone will be like, how weird is that. Lol! Just the perfect lunch on a hot summery day! This is so refreshing salad Ramona! It's perfect side for BBQ as watermelon cleanse your palate after eating heavy food. Adding chilis gives a nice kick to the salad! Ramona, this sounds so great. 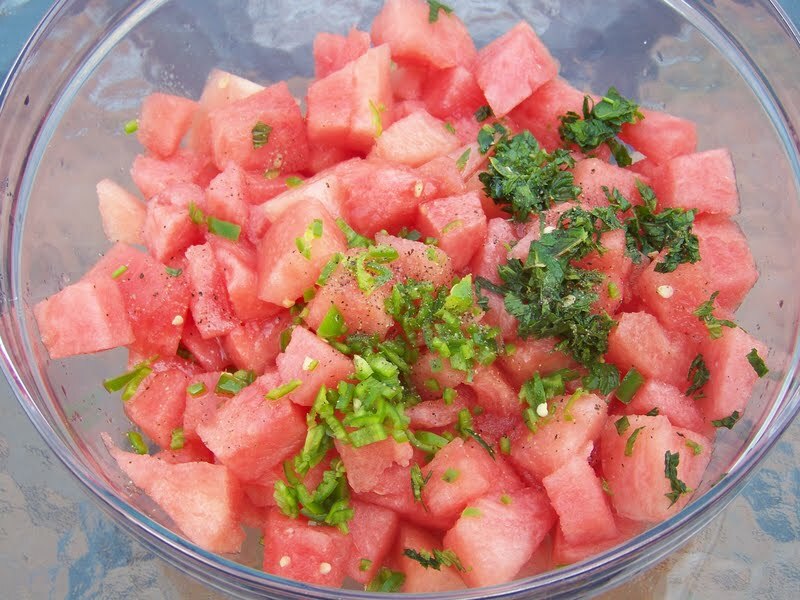 I love other flavors with watermelon. Pinning this one! I was wondering how I missed this last year and then remembered I was on vacation. Thanks for giving me a second chance to discover this refreshing salad. Have a fun 4th of July! This is the perfect summer treat! I love that you added the chilies! What a refreshing salad, but I love that you kicked it up with some heat :) summer in a bowl that's for sure.